Many Minecraft fans are often dissatisfied with the gameplay in it. It is not in the interface of the game or her tasks. Problem in its functioning: at certain points, users have to face with different lags, which are very difficult to overcome. However, such system errors is salvation. 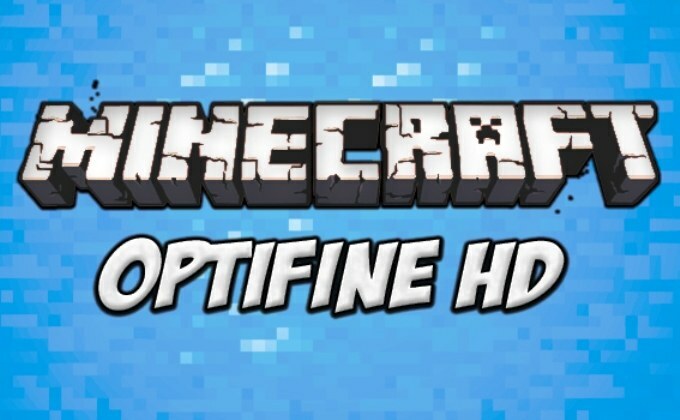 Mod OptiFine specially created in order to improve the performance of Minecraft. It optimizes application performance, increases fps (frames per second), helps to find hidden reserves of memory and the maximum use of them. It turns out all this at the expense of exposure to one of the most important components of the game graphics. Mod Optifine there are three most common versions - standard, ultra and light. Often use the second, but the third is incompatible with some of the most important mods - ModLoader and Minecraft Forge. The above modification is especially useful for those gamers whose PCs are weak, and each unit of fps is given to them almost with the battle. They will be able to define their own priorities and play using OptiFine to disable the options Minecraft that gameplay though desirable but in reality is not required for its normal functioning. OptiFine is impossible to call the "magic wand", which much to offer the game dramatically transformed and immediately begins to work incredibly quickly. Still, such obvious miracles in terms of software, does not happen. However, many who have already used this mod, note how much after installing it, increased fps, and Minecraft became available a lot of different options - for example, support for images and textures in high definition. To work correctly, the Optifine it still must be configured correctly. To do this, go to options section and choose the section "graphics Options". After that, the screen will display a window with more than a dozen different settings, through proper debugging, which will optimize the game. Certain settings OptiFine is always a choice between image quality and system performance. What is more important in a particular situation - to decide for himself gamer. There is more detail on the most important of them. The first such parameter is the loading of chunks. Here three values. Default refers to a standard load, Smooth - to smooth. It is faster than the first, and therefore more suitable for not very powerful computers. The value of the Multi Core should definitely opt for multi-core processors - it will help to use their power to speed up the game. Indicators of the mist (Fog) can be set based on their needs and performance of your computer. When their power is small, it is necessary to disable this option. Similarly we should deal with clouds (Clouds) for those who have problems with fps. If everything is in order, you can choose clouds or volume. In fact, does not affect the graphics in Minecraft to enable or disable the stars, and day or night light. Another thing is the animation, which in case of problems with system performance should disable. Of course, in this case, fire, lava, water and other objects will be plain and not very pretty, but the game will not lag. In the menu "Quality" (Quality) few functions are strong "eaters" fps. So, on low performance computers it is better to disable Mipmap levels and Anisotropic Filtering Filtropic. She and the other functions affect only the drawing of the far blocks, because the game is not particularly needed. At the same time, Clear Water - another fan to pick up a lot of fps - for better visibility under water and it is highly necessary to search for there is need of resources (for example, clay). Choosing the parameters to fit your needs and the technical capabilities you need then be sure to click on the label "Apply". If everything was configured correctly, then fps even on less powerful systems can grow several times.